Doping in sport is a well-known phenomenon that has been studied mainly from a biomedical point of view, even though psychosocial approaches are also key factors in the fight against doping. This phenomenon has evolved greatly in recent years, and greater understanding of it is essential for developing efficient prevention programmes. In the psychosocial approach, attitudes are considered an index of doping behaviour, relating the use of banned substances to greater leniency towards doping. 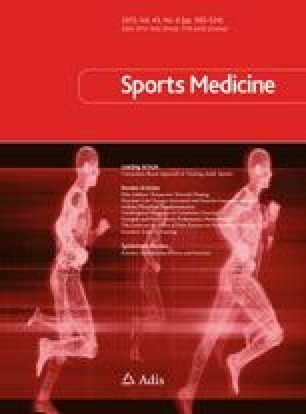 The aim of this review is to gather and critically analyse the most recent publications describing elite athletes’ attitudes, beliefs and knowledge of doping in sport, to better understand the foundations provided by the previous work, and to help develop practical strategies to efficiently combat doping. For this purpose, we performed a literature search using combinations of the terms “doping”, “sport”, “elite athletes”, “attitudes”, “beliefs”, “knowledge”, “drugs”, and “performance-enhancing substances” (PES). A total of 33 studies were subjected to comprehensive assessment using articles published between 2000 and 2011. All of the reports focused on elite athletes and described their attitudes, beliefs and knowledge of doping in sport. The initial reasons given for using banned substances included achievement of athletic success by improving performance, financial gain, improving recovery and prevention of nutritional deficiencies, as well as the idea that others use them, or the “false consensus effect”. Although most athletes acknowledge that doping is cheating, unhealthy and risky because of sanctions, its effectiveness is also widely recognized. There is a general belief about the inefficacy of anti-doping programmes, and athletes criticise the way tests are carried out. Most athletes consider the severity of punishment is appropriate or not severe enough. There are some differences between sports, as team-based sports and sports requiring motor skills could be less influenced by doping practices than individual self-paced sports. However, anti-doping controls are less exhaustive in team sports. The use of banned substance also differs according to the demand of the specific sport. Coaches appear to be the main influence and source of information for athletes, whereas doctors and other specialists do not seem to act as principal advisors. Athletes are becoming increasingly familiar with anti-doping rules, but there is still a lack of knowledge that should be remedied using appropriate educational programmes. There is also a lack of information on dietary supplements and the side effects of PES. Therefore, information and prevention are necessary, and should cater to the athletes and associated stakeholders. This will allow us to establish and maintain correct attitudes towards doping. Psychosocial programmes must be carefully planned and developed, and should include middle- to long-term objectives (e.g. changing attitudes towards doping and the doping culture). Some institutions have developed or started prevention or educational programmes without the necessary resources, while the majority of the budget is spent on anti-doping testing. Controls are obviously needed, as well as more efficient educational strategies. Therefore, we encourage sporting institutions to invest in educational programmes aimed at discouraging the use of banned substances. Event organizers and sport federations should work together to adapt the rules of each competition to disincentivize dopers. Current research methods are weak, especially questionnaires. A combination of qualitative and quantitative measurements are recommended, using interviews, questionnaires and, ideally, biomedical tests. Studies should also examine possible geographical and cultural differences in attitudes towards doping. The authors have no conflicts of interest to declare. This study was supported by a grant from the Spanish Ministry of Education (AP2009-0529). WADA (2009a). World anti-doping code [online]. http://www.wada-ama.org/en/World-Anti-Doping-Program/Sports-and-Anti-Doping-Organizations/The-Code. Accessed 29 Nov 2011. Backhouse S, McKenna J, Robinson S, et al. Attitudes, behaviours, knowledge and education—drugs in sport: past present and future [online]. Canada: World Anti-Doping Agency; 2007. http://www.wada-ama.org/rtecontent/document/Backhouse_et_al_Full_Report.pdf. Accessed 29 Nov 2011. WADA (2009b). World anti-doping agency: Education [online]. http://www.wada-ama.org/en/Education-Awareness/. Accessed 29 Nov 2011. WADA. Social science research 2008 call for proposal [online]. http://www.wada-ama.org/rtecontent/document/Call_for_Proposals_2009_En.pdf. Accessed 26 Dec 2011.